Drug development is extremely necessary to cure the critical diseases and also to enhance the therapeutic effect of existing drugs. This book consists of contributions made by international experts of pharmaceutical sciences. Various aspects of chemically defined therapeutic and toxic agents, experimental pharmacology, clinical trials, etc. have been elucidated in this book. Also included are significant researches that will provide a thorough understanding of the current status of this scientific discipline. As a reference material, this book will be highly beneficial for post graduate students and research scholars pursuing pharmaceutical sciences. 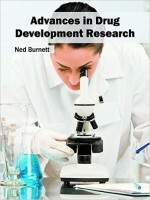 This book has been authored by Ned Burnett who holds a PhD in pharmacology and toxicology from the School of Pharmacy, University of Southern California, United States. He is extensively engaged in the researches focused on discovery and development of new drugs.